Since we choose our own courses, the number who sign up varies and includes students from different years. The enrollment in this class in contemporary literature is really large. 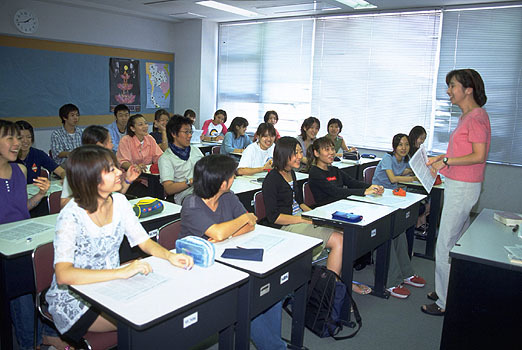 The teacher is very knowledgeable and the lectures are enjoyable, so she is really popular. This course is mainly for second- and third-year students, but most are third-year students studying for the university entrance exams. Today we're doing reading of long texts. The teacher asks each student what they think and leads the class in discussion, making it a student-centered class.